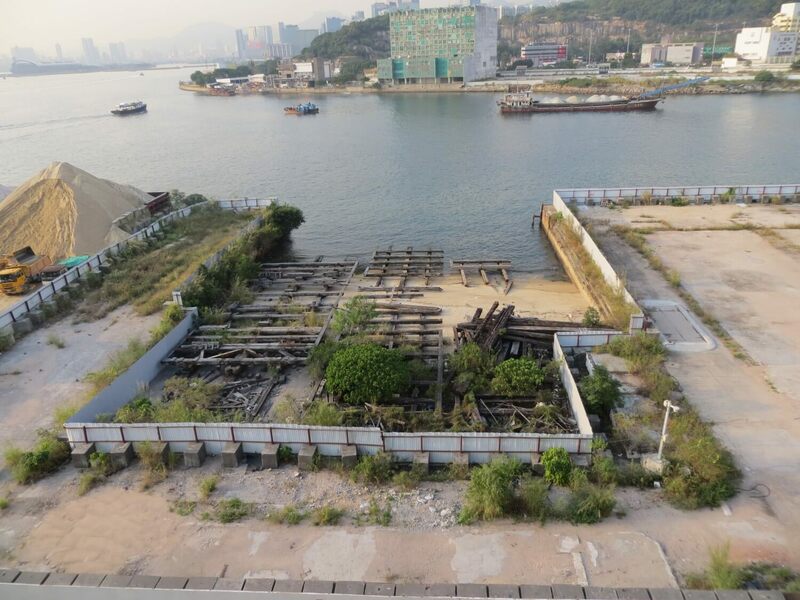 HF: In my article, Universal Dockyard Ltd, Yau Tong I suggested that a fenced area to the immediate East of Universal was Yau Wing Shipyard whose main building had been demolished but which ran along Ko Fai Road. 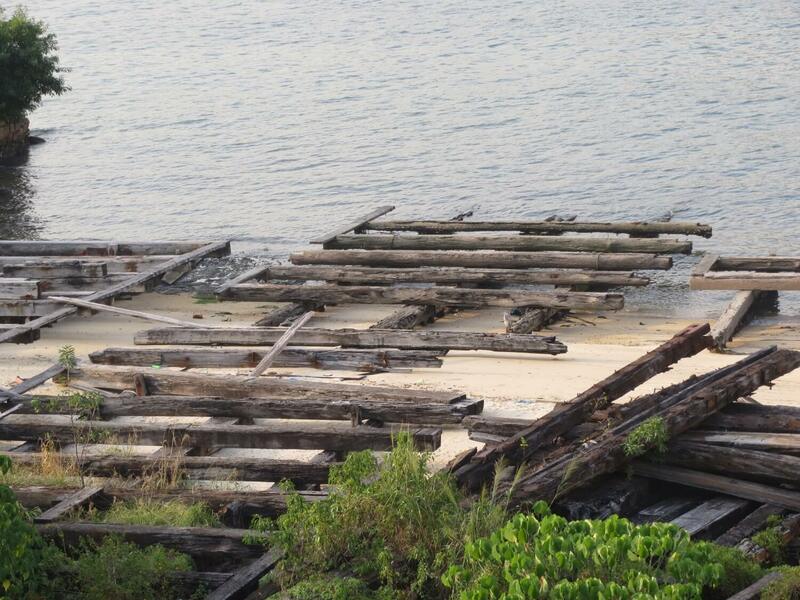 A map also indicated that there were slipways running from this building north into the sea. 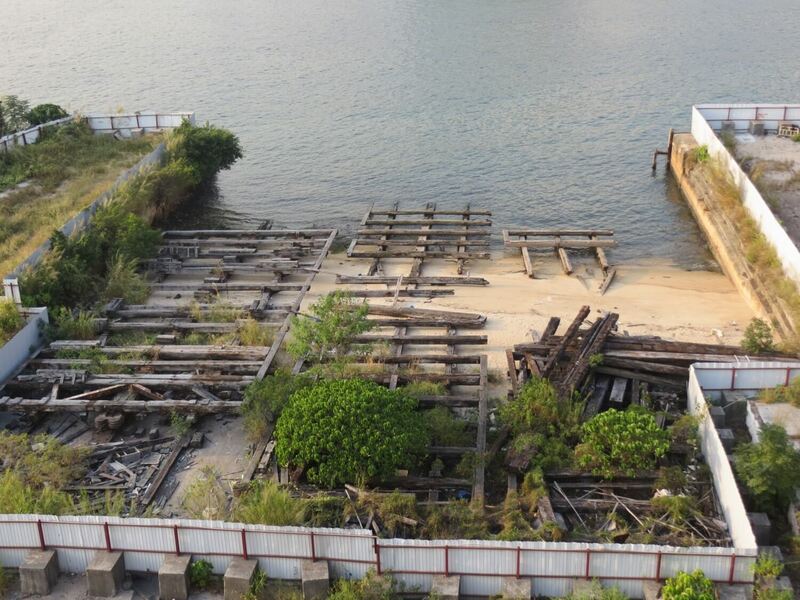 I have revisited the area and taken some photos looking down on what indeed are wooden slipways and obtained a little more information about this company. 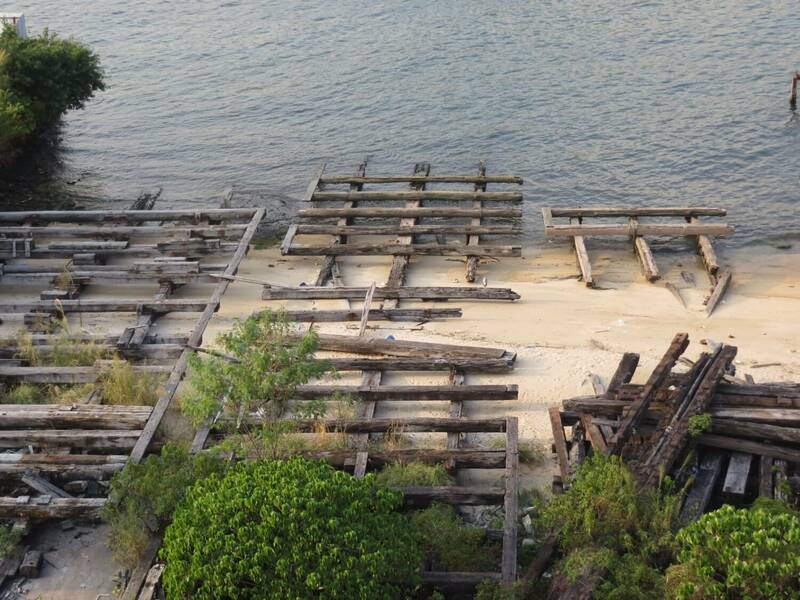 b) an aerial photo from 2010 showing when magnified the name “Yau Wing” on the roof of the buildings to the immediate east of the slipways. 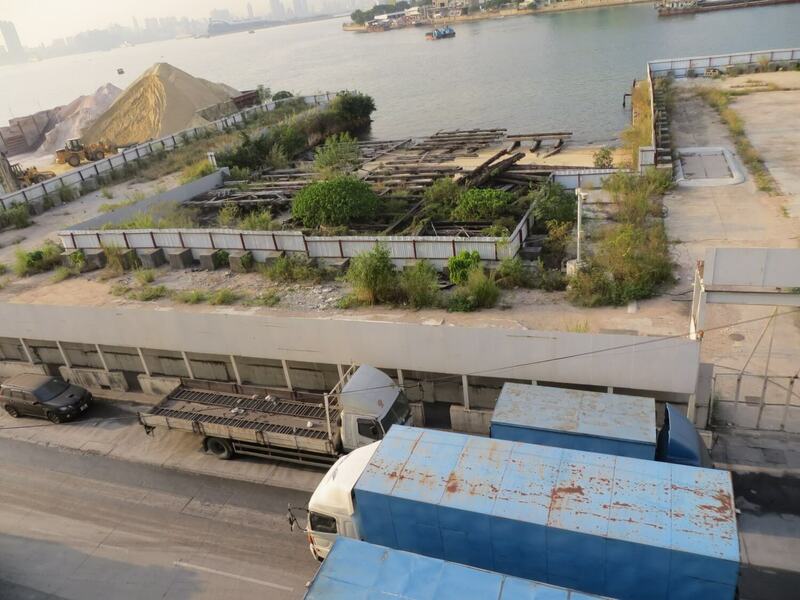 These photos show the current state of the Yau Wing Shipyard from a visit I made on 25th November 2014. I took them from the 3rd and 6th floors of the Union Industrial Building across Ko Fan Road. This article was first posted on 26th November 2014.